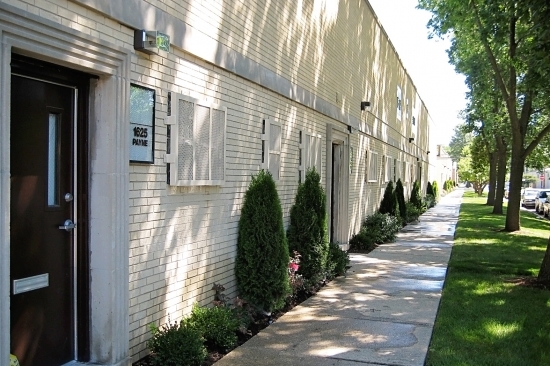 1625 Payne is an industrial building located in Evanston's Hill Arts District. The Hill Arts District is a unique tight knit neighborhood located west of the Noyes CTA train station, only blocks from downtown Evanston and Northwestern University. This district features former ice cream factories, restaurants as well as other industrial spaces. These buildings were converted to live work offices that now house creative industries. City parking is available less than a block away. Sorry, no properties are available. Copyright © 2015 Robinson Rental. All Rights Reserved.